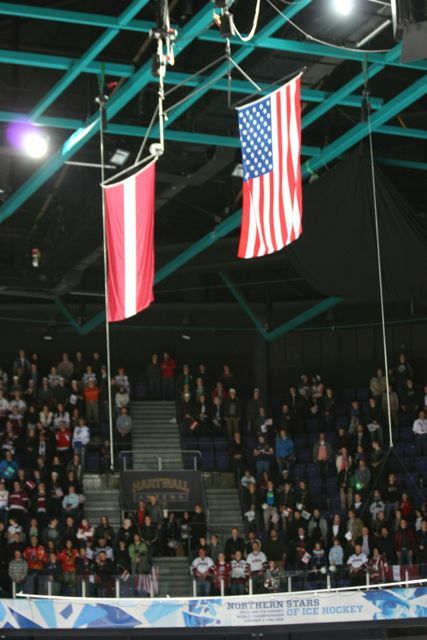 The US and the Latvian national hockey teams were playing an early round game in the World Championship in hockey that is currently held in Helsinki and Stockholm (May 3 -19 2013). The championships are split between the two cities the same way it was last year with the finals being played in the bigger arena in Stockholm, Sweden on May 19. 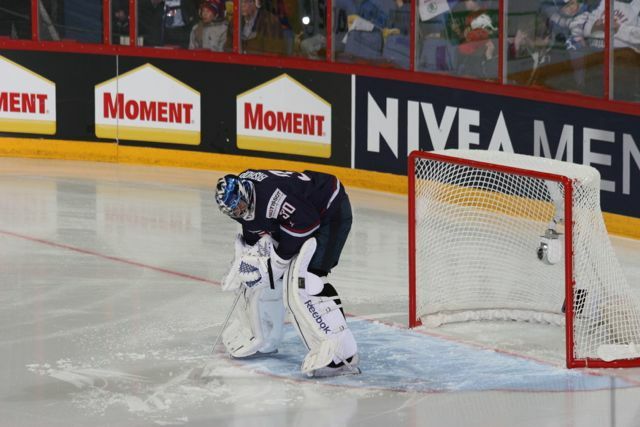 US Goalie Ben Bishop is getting ready for the game to start. The game started out pretty uninspired and I can’t say that it was a very well played game from either side. One should keep in mind that these are the national teams and it was the second game in the tournament at least for the US, the guys are probably not used to each other at this point since the opportunities to train and play together have likely been very limited. 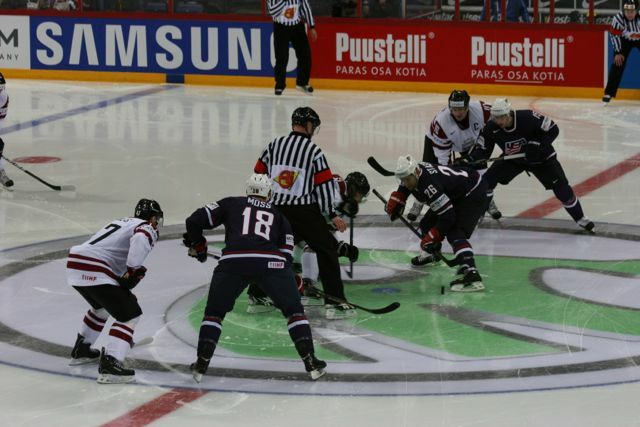 Despite all that the US did what they needed to and were expected to do and won the game. This, despite the fact that it took a whole period and some to get any goals going, and the first goal was a Latvian goal. The US quickly came back, evened out and got ahead. After that there was never really any question which way the game was going. 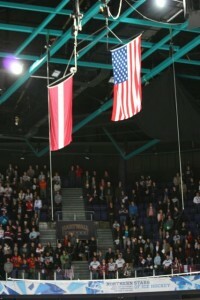 The Latvian fans lived up to their reputation of being among the loudest ones around, banging their drums and sounding their horns even long after all hope of being able to pull off an upset should have evaporated. I think this was a positive – at least in the face of victory. 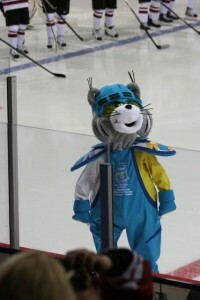 2013 World Championship mascot, wearing half Finnish/half Swedish colors. Paul Stastny is the team captain of team USA. 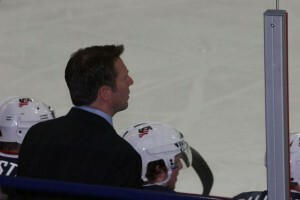 He currently plays for the Colorado Avalanche in the NHL. 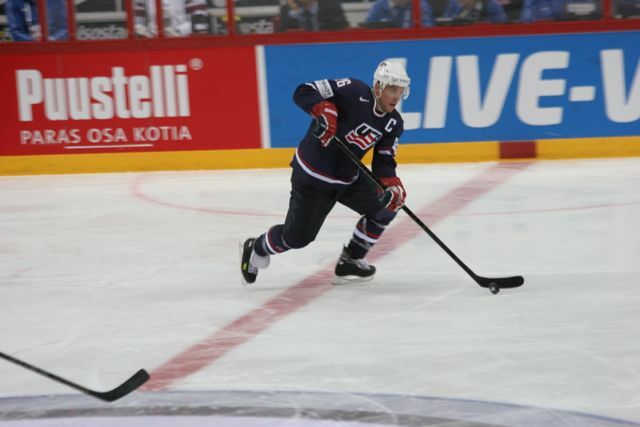 He is of Slovak descent and he is the son of Hall of Fame Hockey player Peter Stastny and his uncles Anton and Marian Stastny both played in the NHL in the 1980’s. 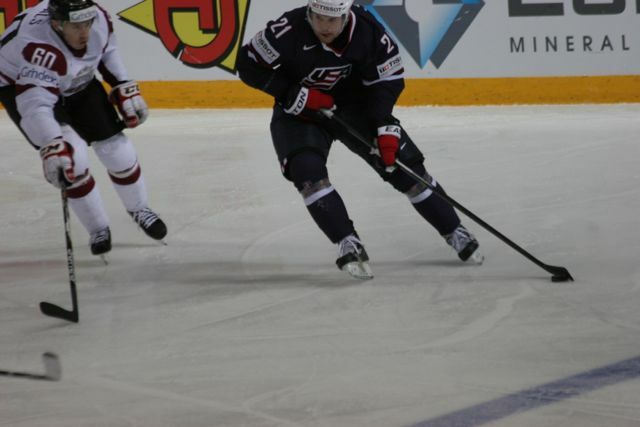 US Forward Drew LeBlanc with the puck. Previous Previous post: May Day Celebrations all over Europe under way right now. Next Next post: Fords, Chevys, a Ferrari, a Gaz 69 and many other cars on display Saturday in Culver City.